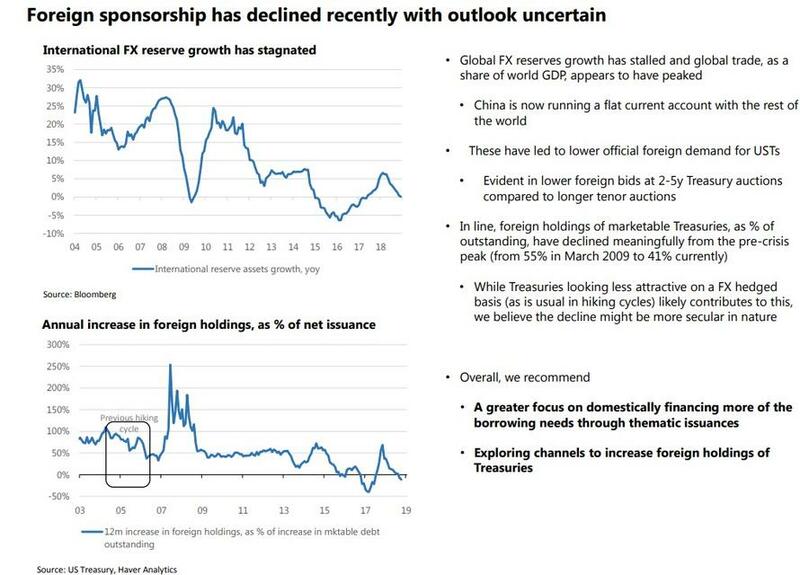 SOURCE: 02-08-19 - "Primary Dealer Treasury Holdings Hit All Time High As Foreign Buyers Balk"
Foreign investor demand has been steadily declining in recent years. 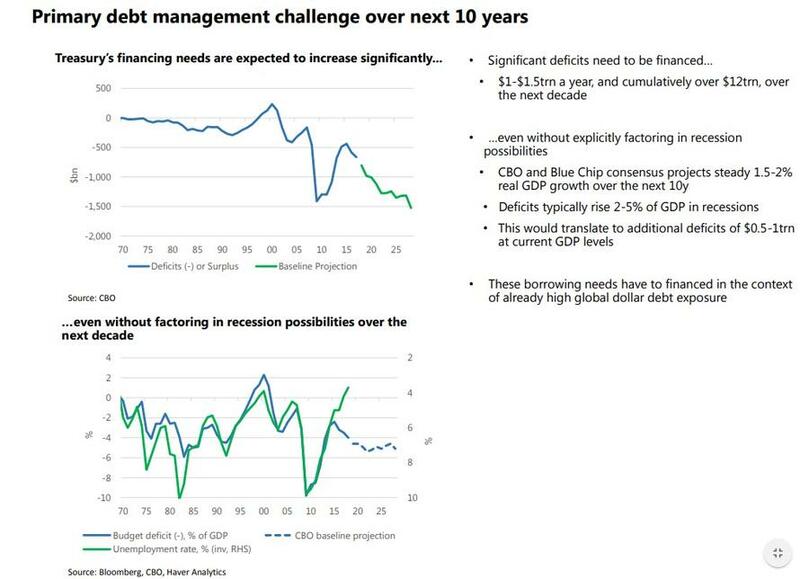 Foreign investors additionally already hold significant dollar debt" which is why the US will have to increasingly rely on domestic savings to fund its future budget deficits. Primary Dealers' average net long Treasury position has rocketed higher since the beginning of October, and it leapt another $35.7 billion in Thursday's release to a record $259.3 billion. Average primary dealer Treasury positions have generally been surging since March of last year, particularly in the front-end of the coupon curve, amid the deluge in new Treasury issuance and a lack of proportional increase foreign buyers. Dealers are rushing into bonds anticipating further upside, which however would suggest that the "smartest money" is convinced that the US economic slowdown is set to accelerate, with deflationary consequences, resulting in even lower yields (i.e., the P&L angle). The more troubling conclusion is that as foreigners have failed, or refused, to match their buying of US paper to the ramp up in Treasury issuance over the past year in order to fund Trump's fiscal stimulus, Dealers - who are the failsafe bid to avoid a failed Treasury auction - have have no choice but to aggressively step up their purchases of US paper. 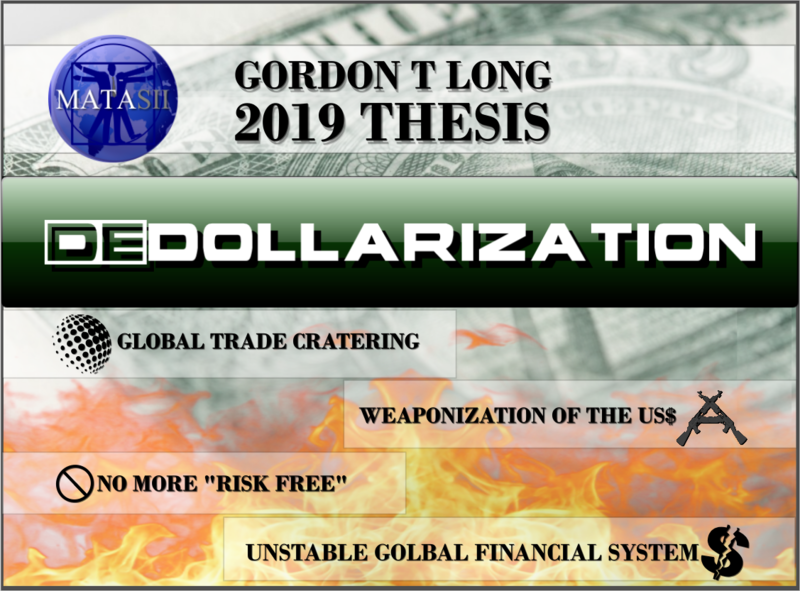 If this is the case, this has potentially troubling consequences, especially for US monetary policy, because there will come a point where Dealers are limited as to how much more paper they can buy simply due to regulatory and capital requirement concerns. As such, should this buying spree continues and should foreign buyers refuse to accept the buying baton from Dealers, it will be up to the Fed to once again step in and begin monetizing US debt issuance. It is only a matter of time before the Fed not only ends its balance sheet unwind, but proceeds with QE4 in order to fund America's gaping budget deficit. 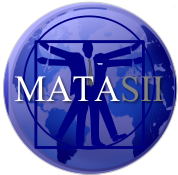 However, whereas a new QE may be sufficient to monetize debt under normal conditions, it is unclear if even the Fed would be able to step up and monetize the tens of trillions in new debt that will have to be issued over the next few years should Ocasio-Cortez "Green New Deal" with its multi-trillion price tag, ever become a reality. 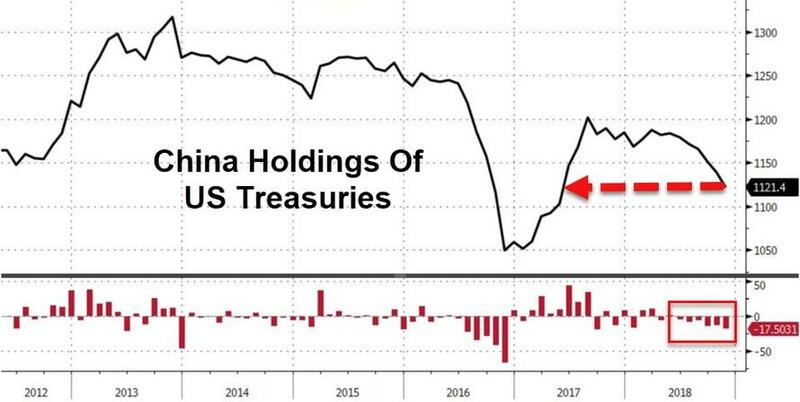 JP MORGAN: CHINA’S ‘ZOMBIE’ CORPORATIONS’ DEBT PILE COULD BE SLOWING CHINA FASTER THAN THOUGHT ARE BANKS HOARDING US TREASURIES TO “LIQUIDITY HEDGE”?